The tasting room is open today ! Wine Club Release, for both Club Levels. Join master candle maker Kari Kramer at Tumwater vineyard for a fun evening. Enjoy a glass (or more) while making and learning how to craft your perfect candle. This is a perfect gift for your mother or yourself. We look forward to seeing you here. This evening we will be offing a 15% discount on all bottle purchases as well. 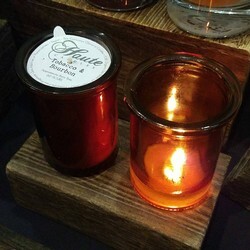 Tickets will include a 6 oz vintage style candle and vase, a glass of wine & light snacks. 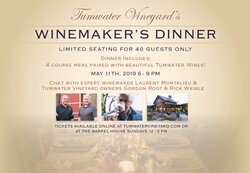 Wine Maker Dinner, Join Laurent Montelalieu, as he discusses vintages past and present & What makes Tumwater Vineyard so special. Dinner will consist of a 4 course meal paired with the best of Tumwater Vineyard. Tickets available on our Events page. Club Release 4x Barrel House Club members only!